Garstang and Preston based tree consultancy company offering a tree surveying service, tree condition surveys (BS5837 2012) and numerous specialist services. 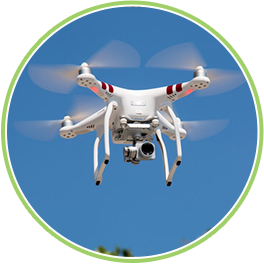 They include; drones in arboriculture, woodland surveys, advanced surveying with tree decay detection equipment, tree preservation order advice, tree hazard assessments and mortgage insurance reports. Loler inspections are also offered as a service. 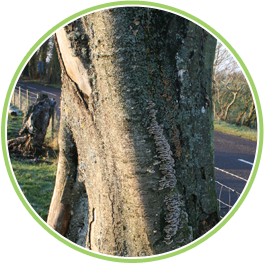 Treestyle Consultancy has been servicing the Northwest of England since 2001 and has established its position in the market through great care and attention to detail. Other services that can be provided are LANTRA Training, aerial and ground based assessments and specific advice on new developments. Treestyle Consultancy prides itself on its high standards which have resulted in scores of satisfied customers, from individuals to major organisations such as United Utilities, the NHS, Barton Grange Landscapes, Wetland Trust, Wildlife trust, Councils, Schools and Colleges. All have a healthy relationship with our company and return time and again for more of the quality service provided by Treestyle Consultancy. Please do not be put off by the list of big companies, as most of our clients are private individuals with tree issues concerning their residential properties. Trees can contribute significantly to the amenity of an area and provide many benefits from the obvious such as the aesthetics but also the economic, social and psychological aspects. However, due to the size and form of trees they can also pose significant risk and hazard and therefore it is imperative to identify hazards/defects and respond to them appropriately. Treestyle Consultancy originated whilst I was working at Myerscough College as an Instructor / Lecturer. Prior to this I studied at the college for four years, spent a year as a climbing Arborist in Australia and a few years working as an independent climbing arborist. After 10 successful years working at the college I decided to run the consultancy business full time. Several years later the business has flourished and now has a large client base taking me all over the country. I still have an excellent working relationship with Myerscough and regularly lecture tree hazard awareness courses. I also lecture for the Ancient Tree Forum. Building an extension or have a new building development in close proximity to trees? Please call us to for some free, initial advice. Drones or Unmanned Aerial Vehicles (UAV’s) are quickly becoming a useful cost effective tool in Arboriculture. 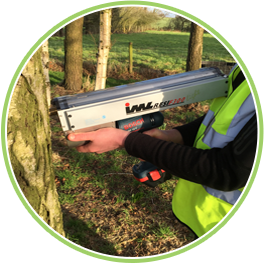 Trees naturally become hollow, so ascertaining their integral strength is required with decay detection equipment. 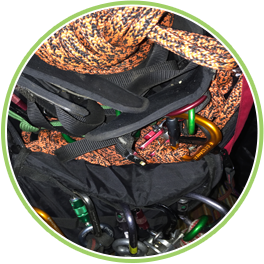 Loler to comply with current legislation, climbing equipment used for arboricultural proposes needs to be inspected every 6 months by an independent and competent person qualified to NPTC standards.